It's time to celebrate! Why? 1) I moved my blog to blogger successfully! 3) I like to celebrate even the smallest things that make me happy! 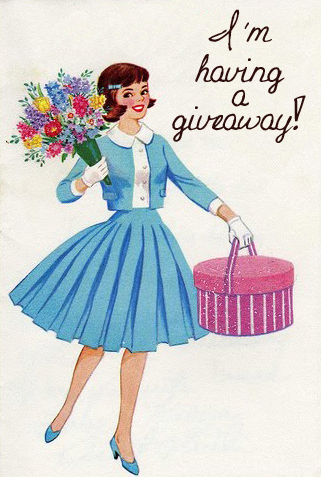 Go To http://lilygetscrafty.blogspot.com/ to see how you can enter!! Lily Razz's blog is moving somewhere else! If you'd like to visit, please click here! You can find the free pattern here! Last time I posted my half-finished "Rekindled Shirt", where I painted some text on with special tulip paint. I'm still experimenting as you see, but it's much fun! 1) flowery stitch marker - pattern here! 2) a ladybug - so simple! I'm really really happy with them! Rilakkuma of Amigurumi! Wow! What work it must have been to make this short movie! I found this movie on the blog of Vintage Nettles.. Really cool!! On My first crocheted vest!